Ben is a season veteran of digital marketing for both local and national accounts. Currently Ben owns and operates two companies; Scorpion Sweepers a pest control company in Phoenix and Holland Consulting a digital marketing consultancy services the entire United States. Ben is a New Englander and enjoys all of the Boston-based sports teams. 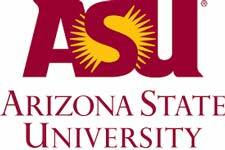 He came to Arizona to attend Arizona State University, earning a Bachelor’s of Science in Biology. Immediately after graduating Ben started Scorpion Sweepers, where he perfected his digital marketing skills. In his free time he enjoys mountain biking, playing basketball and softball in the Phoenix RAT League. When he is not being active he enjoys spending time with his son and two dogs. Ben loves to share his expertise with others. He has extensive speaking experience speaking about Digital Marketing, SEO, Analytics, Social Media, Pest Control, and Scorpions. Ben is willing to travel domestically and internationally to present, nowhere is too far. Speaking fees are not always required. We prefer Starwood Hotels and non-stop flights. For the Phoenix Chapter of the American Marketing Association. Ben ran the chapter for one year turning in the first profit in three years and setting a record for membership. He has also held the positions of VP of Web and Technology & Spectrum Award Show Planner. For the Phoenix AdClub Chapter of the American Advertising Federation, Ben built relationships with sponsors to help cover the costs of our events. He also maintained the website. For the Arizona Innovation Marketing Association, Ben works with other organizations to improve event attendance. He also helps manage email marketing and the website. Scorpion pest control for the state of Arizona. Ben created this company the month after he graduated from college. Over a decade later it is a thriving self-sufficient business that is very hands off. He has done everything for the company from managing the entire team, creating the website, designing videos and images for the site and marketing and improve the business. He has been lucky enough to have some great PR opportunities with this business. He has been featured on all local news stations here in Phoenix. He has spoken at real estate conferences and the Arizona Science Center. He has been featured on National Television on Inside Edition, The Discovery Channel, The History Channel, and ABC’s Nightline. He has also been featured on the front page of the New York Times. A 501(c)(3) non-profit science and technology attraction. 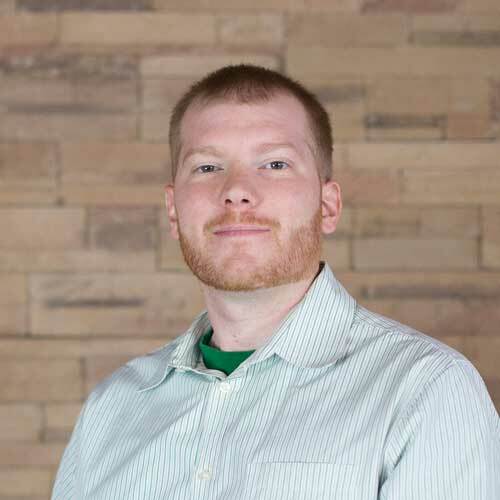 As the Arizona Science Center digital marketing manager, Ben oversaw all digital advertising, search engine optimization, web maintenance, e and online analytics. He contributed to the marketing strategy, budgeting and traditional advertising that the center executes. Corporate Marketing Arm for OdySea Aquarium, Butterfly Wonderland, OdySea in the Desert, Bodies Revealed, and more. At OdySea in the Desert, Ben worked closely with the marketing team to implement our campaigns on all digital fronts. Ben managed all web related items including but not limited to social media, online advertising, web development, search engine optimization, video creation, email marketing, business listing, in-house monitors, and data analysis. Ben managed a portfolio of properties including OdySea Aquarium, Butterfly Wonderland, Bodies Revealed, OdySea in the Desert, OdySea Mirror Maze, Sugar Drop Candy Shop and Bumper Boats. His biggest successes at OdySea in the Desert include increasing OdySea Aquarium’s organic traffic by 25%, creating SEM campaign that returned at a 20:1 rate, and implementing a video content strategy for the website and social media. A full-service interactive agency with offices in China, Hong Kong, and the US. Ben managed an international team of marketers, that services The United States, Canada, Mexico, Hong Kong, Singapore, and China. He personally built the department from the ground up to include a services portfolio of Web Development, Online Advertising (SEM) with PPC, Display, Retargeting and Social, Search Engine Optimization (SEO), Content Marketing, User Experience (UX), Conversion Rate Optimization (CRO), Email Marketing, Social Media Management and Analytics. He played a huge role in the sales process, acting as the closer. He came in on the last few calls and create digital strategy and pitch to the potential clients. This has worked very well, closing around five deals a month. A full-service advertising agency in Tempe, Arizona. Ben came to Zion & Zion and was given two goals to rank the company #1 for Advertising Agency Phoenix and to create an SEO department for the company. Here he built processes and deliverables for all clients for onboarding, current site analysis, new site launches to monthly reporting. He hand implemented many changes to site using HTML, CSS, WordPress, Magento, Shoppify and Google Tag Manager. Six months after his new blogging process was implemented Zion & Zion achieved their rankings goal. Organic search internet marketing agency in Scottsdale, AZ. At Vertical Measures, Ben started as a link builder and was quickly promoted to account management. There he developed the digital strategy for over 40% of Vertical Measures’ clients managing a portfolio of over 50 clients with revenue of 150k a month. Throughout his tenure, at Vertical Measures, he was able to increase the revenue of his accounts 167% with the highest retention rate on the team.